Your business’ office is more than just a roof to work under; a professionally produced office design can be a major influence when it comes to impressing clients. As a team that has been responsible for commercial interior design Auckland-wide for over 50 years, we at DB Interiors know how powerful an office’s impression on guests can be. 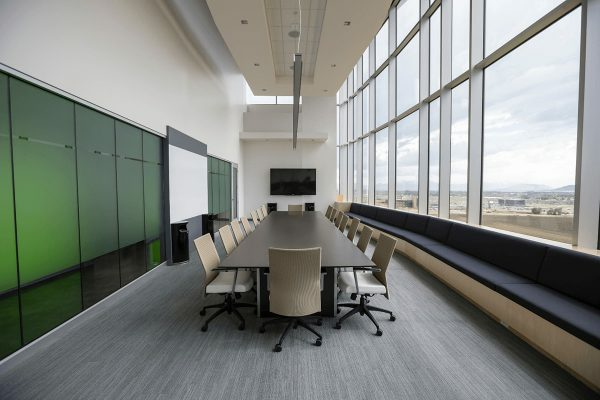 In today’s blog, we cover ten factors that could be key elements of your next office, or upcoming refurbishment. It may surprise you, but seeing happy employees has a huge subconscious effect on clients entering a business premises for the first time. All members of your staff need to be prepared to interact with guests, and need to be able to direct visitors to wherever they need to go. There are two ways interior design influences this; layout, and ergonomics. Having a functional office layout makes it easy for any staff member to guide guests to other areas of your office – an ergonomically designed office keeps your staff comfortable, and enhances client interaction. You want a space where clients can be received, but not exactly a desk that is sat at full time. 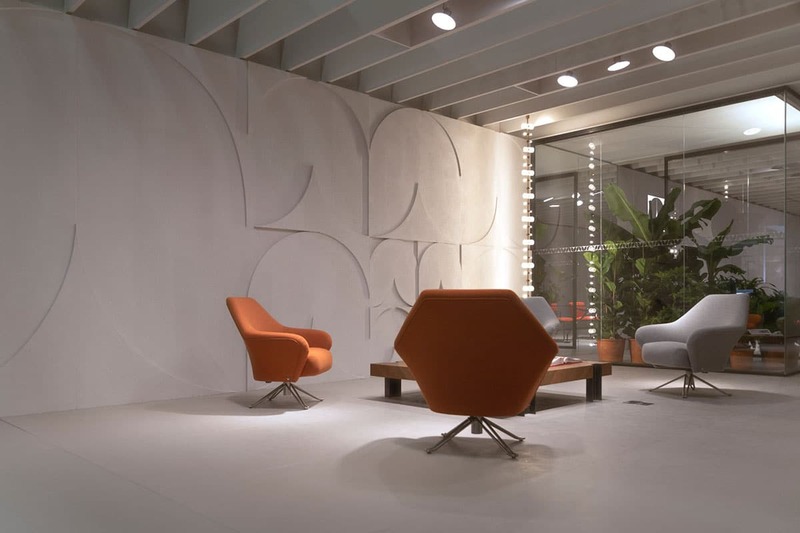 An intelligently designed reception area is vital to helping your receptionist make the best first impression possible for your company. A clean office makes a fantastic first impression. There’s little worse than visiting a business for the first time, and noticing mess around. A professionally designed office will account for this by providing adequate amounts of well-placed waste and storage systems. Having high-quality coffee and tea available for your guests goes a long way. It’s also a nice idea to allow guests the option of using coffee machines or water coolers themselves, by placing them in your reception area. 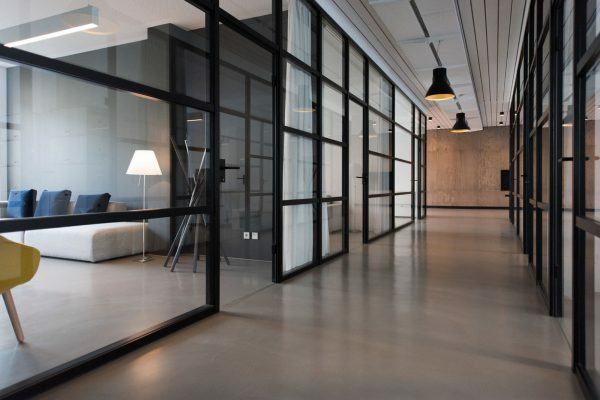 Office spaces are often thought of as dull or restrictive places, where natural light is not harvested or used properly. Hanging art is a great way to decorate, but if that doesn’t suit your brand image, there are more minimalistic ways to brighten your space, such as implementing the colour palette of your branding in your office furniture. You might be surprised how much of a difference an updated floor plan can make to an office space. Professional interior designers – like the designers at DB Interiors – can optimise your existing layout to make the most of your natural lighting and office space. Unsung improvements like this are the backbone of your space – clients will feel at home and relaxed, even if they don’t realise why! Adding some greenery to your work place is always a great idea. There are hundreds of options out there for adding plant life to your commercial interior – hanging plants, moss walls that double as acoustic baffling, etc. Use your mission statement, values, and vision around your office. 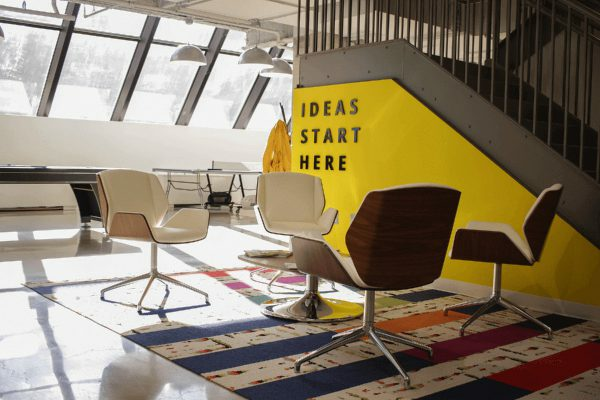 Placing your company’s branding front and centre in your office space is a great way to not only show guests that you care enough about your work to have professional branding work done, but stick in their minds also. After, making a great first impression is what logos are all about. Of course, no one wants to work at an overly restrictive office, but implementing a dress code shouldn’t be considered on par with implementing a uniform. When your company has a clear but reasonable dress code, your staff are still able to express themselves, but on a consistent standard that keeps your brand identity on track. Clients entering an office for the first time always pay attention to what the employees are doing, and it follows that the way employees are dressed is a big factor in impressions. You should explain to your staff that a dress code isn’t about restricting what they can wear, it’s about taking advantage of the chance to tacitly explain your brand mentality to guests in the office. If you’re looking to take your first impression to the next level, you need to be in contact with the experts. DB Interiors has been working on commercial interiors design for decades, and we can help you achieve the office of your dreams. To find out more and to book your free discovery call, talk to our friendly team today at 0800 999 000.